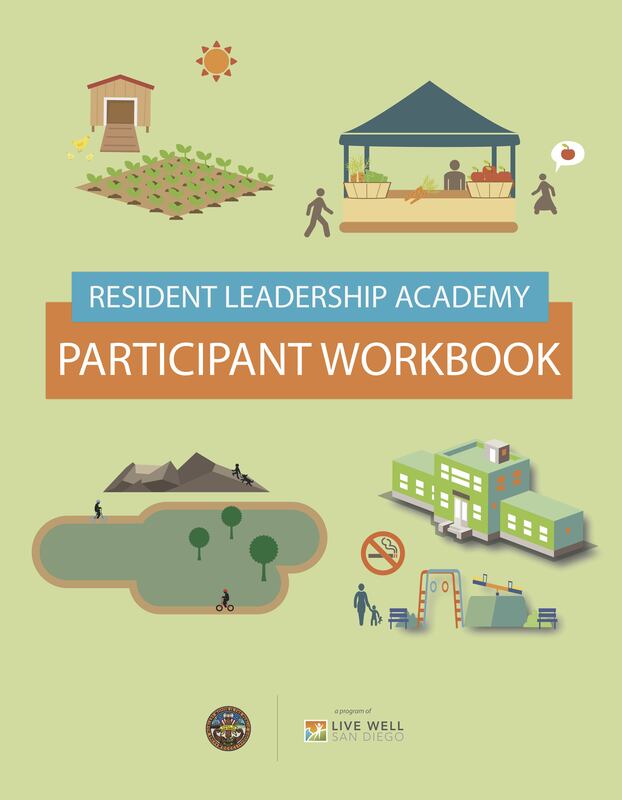 The Resident Leadership Academy (RLA) is a curriculum-based, community health organizing project that empowers residents to make positive changes in their communities. Participants attend a multi-session training program, led by a facilitator, and learn about how neighborhoods can impact how chronic diseases develop. 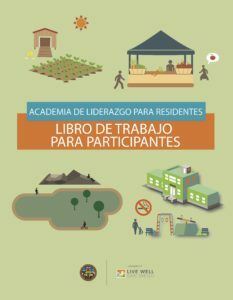 The training includes a combination of core health information, community health strategies that support individual health and lifestyle choices, and practical ways to take action that improve communities. At the end of the sessions, the participants assess their neighborhoods, determine and prioritize needs, and implement a Community Improvement Project. 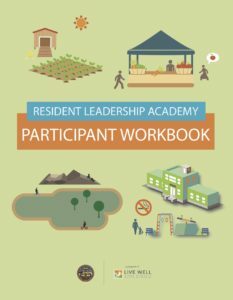 RLA graduates are empowered to make healthy behavior changes, enhance their neighborhood environments, and create vibrant neighborhoods through policy, systems, and environmental changes. 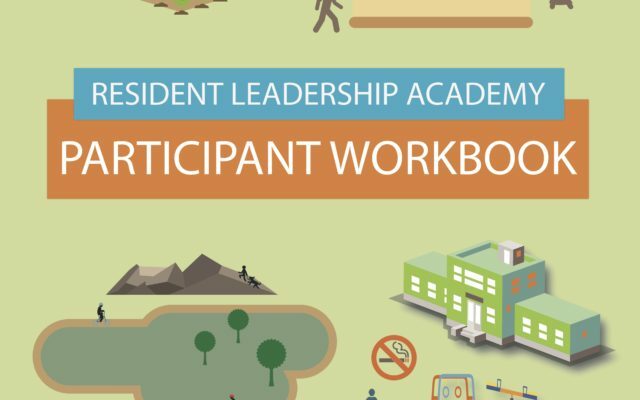 Review the RLA Participant Workbook by clicking the buttons below to learn about making changes in your community.